...I’m not sure what’s more interesting: having things occur at similar times (these things being ones that make you go, “Hmmm…”) or connecting dots that end up forming a path of potential fraud and corruption. How interesting might it be if both happen simultaneously? ...Such a situation happened a few days ago when I was doing some research for a friend who needed information on lesser-known court cases dealing with the First Amendment. She was told to forgo using the more popular First Amendment cases, such as Roe v. Wade and Miller v. California, and asked me for some input on the issue. Having an interest and reasonable background in politics and law, I jumped at the chance. I quickly came to discover a few things that are frightening. ...Allow me to preface the rest of this post by saying that the aforementioned “things occurring at similar times” was a reference to the news that my home state of Pennsylvania is required to have new voting methods in use for the May 16 primaries in accordance to the federal Help America Vote Act, which was made law following the 2000 Presidential election debacle. 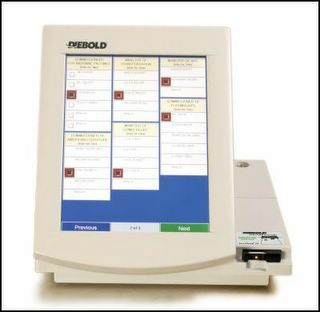 I came across a story from the eastern half of the commonwealth saying that one more county—Schuylkill—has voted to use Diebold electronic voting machines. ...Since Mr. Daub is apparently opposed to deceit, I can only hope that he—as well as every other voter in the United States—is aware of Diebold’s history. ...In 2003, Diebold Election Systems, Inc. sent cease-and-desist letters to multiple Internet service providers (ISPs) after internal Diebold documents were leaked and appeared on various Websites. The internal documents that were leaked dealt with security flaws in the systems of Diebold’s electronic voting machines. Some of the documents included e-mail discussions about how to resolve any problems; others contained suggestions on hiding the flaws and faking demonstration results. ...Diebold claimed that the leaked memos and e-mails were their intellectual property, and that they held some kind of inherent copyright on them; they insisted that their cease-and-desist letters be honored. In response, they found themselves being sued by the Electronic Frontier Foundation—an online free speech advocacy group—and the Center for Internet and Society Cyberlaw Clinic at Stanford Law School. EFF and the Center for Internet and Society Cyberlaw Clinic argued that Diebold didn’t have a legal copyright on the memos or e-mail, and—considering the importance of the information on future political elections—said that the information belongs in the public domain. ...At the time, Diebold attempted to silence anyone and everyone who so much as mentioned their case on their site, or even provided a link to the documents that showed Diebold’s flawed system. The matter ended up in court in the form of Online Policy Group v. Diebold, but in the end the case’s judgment was granted in-part and denied in-part for both sides. Essentially, each side had strong points and weak points. ...In addition to actually fixing the source code flaws, a suggested solution to the problem was requiring that electronic voting machines offer a print-out for each vote. The print-out would occur after each vote and would go directly into a secure lockbox, and in the event of a discrepancy, the vote totals of the computerized tally would be compared to the vote totals of the paper print-outs. ...The paper trail requirement has been given serious consideration by New Jersey Representative Rush Holt in his Voter Confidence Act legislation of 2005. The bill, HR 550, was referred to the House Committee on House Administration in February 2005, but has stopped there. ...Why hasn’t the bill made any headway? Perhaps it’s just a coincidence, but the chairman of the House Committee on House Administration is Republican Bob Ney of Ohio—the same Bob Ney who was recently in the news after he was alleged to have been given expensive trips, meals, and entertainment excursions by corrupt lobbyist Jack Abramoff in exchange for official favors. Abramoff recently pleaded guilty to conspiracy and fraud.